The active adaptive fault-tolerant neural control problem is discussed for large-scale uncertain systems against actuator faults. The unknown interconnections among subsystems are assumed to be nonlinear, not traditional linear. A general actuator fault model is proposed, which integrates bias and gain time-varying faults. Then, based on Lyapunov stability theory, a novel fault diagnostic algorithm and accommodation scheme are proposed, where the assumptions in the existing works are removed and fault-tolerant controller singularity problem is avoided. Finally, simulation results of near space vehicle show the efficiency of the presented control approach. Recommended by Associate Editor Ding Zhai under the direction of Editor Guang-Hong Yang. This work was supported by the National Natural Science Foundation of China (61873229, 61773201, 61473250). Jianye Gong received his B.S. degree in Electrical Engineering and Automation from Applied Technology College of Soochow University, Suzhou, China, in 2016. He is currently pursuing an M.S. degree in Control Engineering at Yangzhou University. His research interests include adaptive control, fault-tolerant control, and distributed control. Bin Jiang received the Ph.D. degree in Automatic Control from Northeastern University, Shenyang, China, in 1995. He had ever been postdoctoral fellow, research fellow, invited professor and visiting professor in Singapore, France, USA and Canada, respectively. Now he is Vice President of Nanjing University of Aeronautics and Astronautics, ChinaHe serves as Associate Editor or Editorial Board Member for a number of journals such as IEEE Trans. 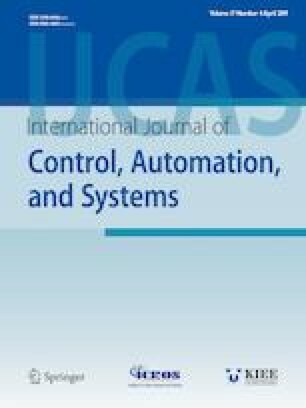 On Control Systems Technology; International Journal of Control, Automation and Systems; Neurocomputing; Journal of Astronautics; Control and Decision, Systems Engineering and Electronics Technologies, etc. He is a senior member of IEEE, Chair of Control Systems Chapter in IEEE Nanjing Section, a member of IFAC Technical Committee on Fault Detection, Supervision, and Safety of Technical Processes. His research interests include fault diagnosis and fault tolerant control and their applications to helicopters, satellites and high-speed trains. He has been the principle investigator on several projects of National Natural Science Foundation of China. He is the author of 8 books and over 200 referred international journal papers and conference papers. He won the Second Class Prize of National Natural Science Award of China in 2018. Qikun Shen received his B.Sc. degree in computer science and applications from the Chinese University of Mining and Technology, Xuzhou, China, in 1996, an M.Sc. degree in computer science and applications from Yangzhou University, Yangzhou, China, in 2007, and a Ph.D. degree in control theorem and control applications from the College of Automation Engineering, Nanjing University of Aeronautics and Astronautics, Nanjing, China, in 2015. He is currently a Professor with the College of Information Engineering, Yangzhou University. His current research interests include distributed control, consensus control, fault-tolerant control, adaptive control, fuzzy control, neural networks-based control, and intelligent control.